Single Review: Blake Shelton "Sure Be Cool If You Did"
The talented Blake Shelton, otherwise known as Mr. Miranda Lambert, has released the debut single from his seventh studio album (excluding EP and Christmas albums). And, yes, our friend Blake Shelton has hit another grand slam with "Sure Be Cool If You Did," which is about as close as you can get to a sure thing for a Country Chart Number One. 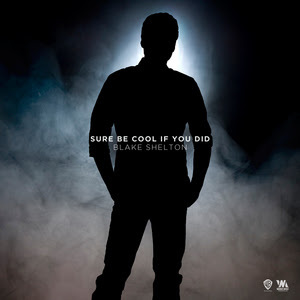 Blake Shelton has a golden touch on country radio, and the song "Sure Be Cool If You Did" was cowritten by The Voice Season 2 alumni Nicolle Galyon. She also wrote two songs for new country artist and American Idol alum Lauren Alaina as well as the well-received cut "Boyfriend" from fellow Voice alum Raelynn. Galyon's other collaborators on "Sure Be Cool If You Did" are Jimmy Robbins and Chris Tompkins.